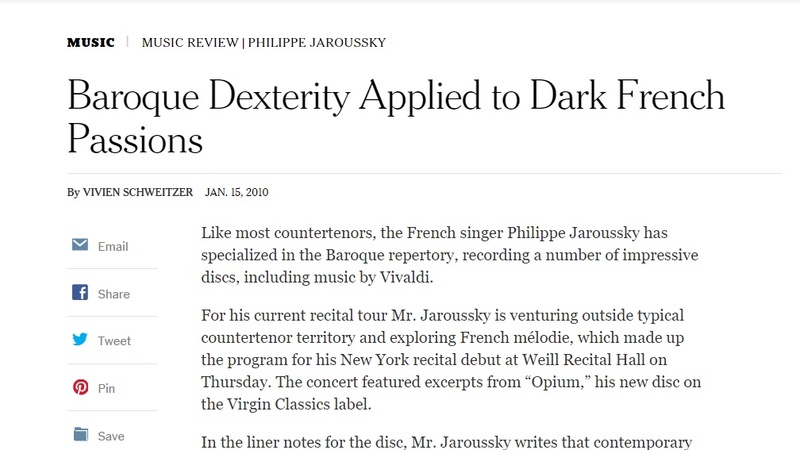 For his current recital tour Mr. Jaroussky is venturing outside typical countertenor territory and exploring French mélodie, which made up the program for his New York recital debut at Weill Recital Hall on Thursday. The concert featured excerpts from “Opium,” his new disc on the Virgin Classics label. New York Times – Who Can Resist a Man Who Sings Like a Woman?